A versatile, one step wax formulated to clean, polish and protect all finishes. Gentle cleaning agents combined with nano-polymer wax technology provide a durable, long-lasting finish. 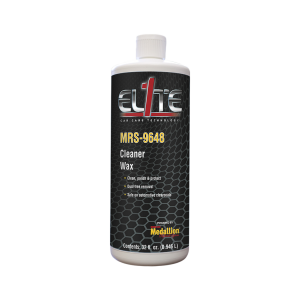 EL1TE Cleaner Wax removes oxidation, while polishing the surface to a high gloss.